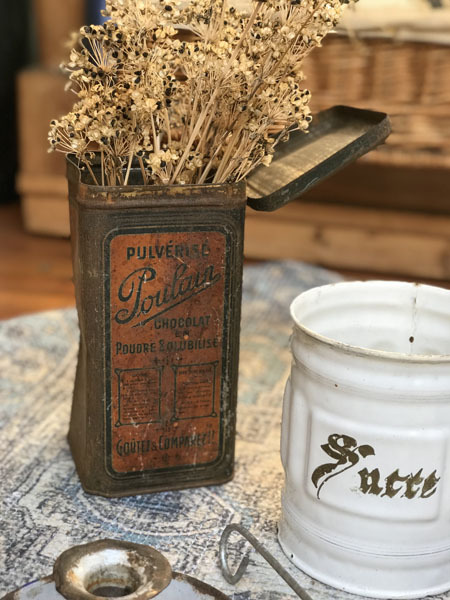 Beautiful aged tin with Poulain brand image on all sides. No holes but not particularly water safe. Paris, early 1900's. Measures 8" H x 4 x 4. One available.